﻿ Napoli 1-3 Real Madrid. Captain Ramos shows no mercy in Naples! 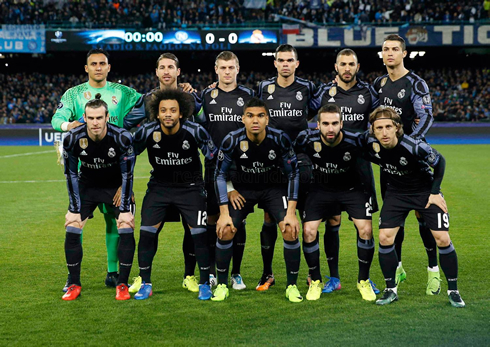 07.03.2017 » Napoli 1-3 Real Madrid. Captain Ramos shows no mercy in Naples! Real Madrid are through to the Champions League quarter-finals, after beating Napoli 3-1 in the second leg. The hero of tonight's game was Sergio Ramos, who pulled off another heroic performance with 2 crucial goals, slaying all Napoli's hopes of a comeback. 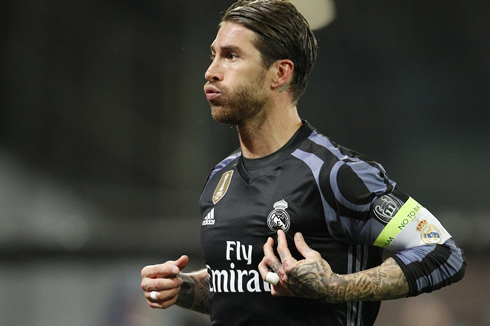 It was Sergio Ramos, again, who rose in the air twice tonight to rescue Real Madrid from deep water in a tough trip to Naples. 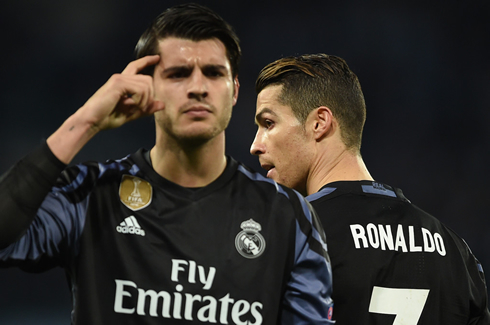 Real Madrid beat Napoli 3-1 at the San Paolo, with 2 goals from captain Ramos and another one from Morata. The Merengues advanced to the Champions League quarter-finals round with a 6-2 aggregate score, but the truth is that there were serious risks of a Napoli comeback when the two teams headed back to the locker rooms at half-time. Zinedine Zidane's men had saved their reaction for the 2nd half though and killed the Italian side's European dreams when Sergio Ramos scored two headers from two Toni Kroos corners. Let's be honest, it wasn't exactly pretty. A lot of the massive issues we've seen over the past couple of weeks were still here in abundance. The BBC was again rather ineffective, there was no connection between midfield and defense and Madrid were still wasteful in front of goal. However, no matter what happens, Madrid have Sergio Ramos and in many ways his existence is unfair to the rest of the footballing world. 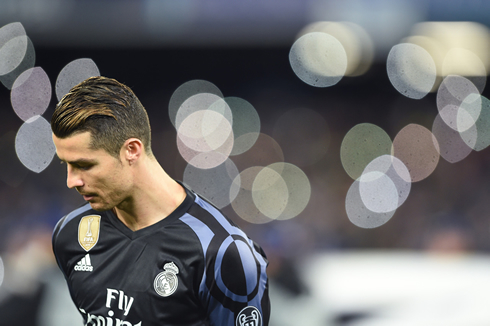 His second-half double was enough to rescue Madrid, as they defeated Napoli by a score of 1-3 in the Stadio San Paolo. Napoli started brilliantly. The first 15 minutes were hell for Madrid. They passed well, dominated possession and generally made the match very hard for Los Merengues. 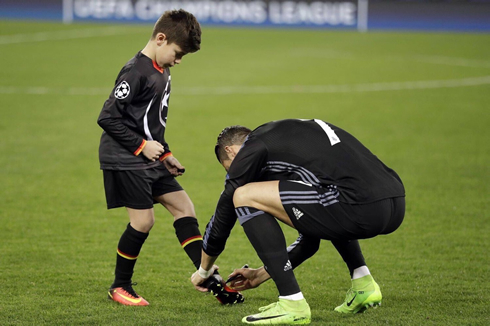 Coupled with the enthusiasm and excitement in the stadium, it looked like a long night for Madrid. Napoli were eventually rewarded for their good work, as Dries Mertens buried a chance in the 24th minute. It was a tidy finish from the Belgian, who found himself free of Pepe after a good pass from Hamsik. The stadium was rocking and Madrid were one more goal away from crashing out of the competition. Cristiano Ronaldo, who still only has two goals in this Champions League campaign, hit the post after a good chance in the first half, but that was really it for Madrid, who went into the second half looking for answers. And Ramos had them all. Cristiano Ronaldo next game is a La Liga fixture, on March 12 of 2017 against Real Betis. You can watch Juventus live stream, Real Madrid vs Betis, Barcelona vs PSG, Rostov vs Man United, Manchester City vs Stoke City, and Borussia Dortmund vs Benfica, all matches provided from our soccer live game pages.